Does your web design speak to customers and generate leads? Does it help your visitors find what they are looking for and direct them where you want them to go? Is your website mobile-friendly? Is it making your business money? If not, it may be time to “fire” your website or opt for a responsive web design refresh. We can help. Our Tampa web design team will take a look and let you know if its time for a pink slip, or just some retooling. Today’s website has a different job than just a few years ago. 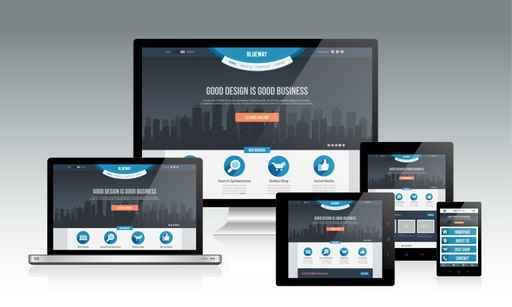 Your website today must be a professional web design that is social media and mobile friendly, attracts and engages visitors and generates leads that convert. More often than not, it will be the centerpiece of a larger online presence. We are a Tampa Web Design Firm who are experts in building a social media friendly web presence for your business that gets the job done in today’s marketplace. Digital Marketing Lighthouse has a plan for every website development budget, and will build a strategy for a responsive web design that tells your story, is easily navigated by your visitors, has a clearly defined calls to action, and can be easily updated internally with our content management system. But there’s more to your online presence than just a building a website. We’ll show you how to maximize traffic and lead generation with content marketing, search engine optimization, pay per click, and email marketing. We’ll help you make your new responsive web design the hub of your online activity, and show you how to build a larger online presence to share your brand and your content across the web in an integrated content marketing strategy, including blog development, custom Facebook business pages, Twitter and YouTube branded profiles and custom web video. Ready to Get Started Now on a responsive web design? Contact Digital Marketing Lighthouse to learn more about our Tampa web design and online presence development.